Since 1998, the Montag Law Office has worked tirelessly on behalf of people injured in auto accidents. If your accident injuries resulted from another driver’s negligent actions, The car injury attorneys at Montag Law can help you recover fair compensation for damages. Contact the car injury lawyer Steven A. Montag for a free consultation. He is committed to helping victims get maximum settlements. Montag Law has extensive experience helping the victims of serious injury accidents. We communicate with you frequently through the entire process of getting you get paid for your car, making sure you receive medical treatment, preparing demands to insurance companies, negotiating settlements and, if necessary, litigating. We collect medical bills and records for your accident-related treatment and assemble the information in a package that accompanies the demand that is sent to the insurance company at the beginning of settlement negotiations. If causation of your injuries is an issue, we procure opinion letters from doctors to support your claim. We also arrange for a functional capacity examination if a client suffers permanent impairments. Call the car injury attorneys at Montag Law Office for your free initial consultation. Some accident victims attempt to process their claims themselves without hiring a lawyer. Often, unrepresented victims are not taken seriously by insurance companies. 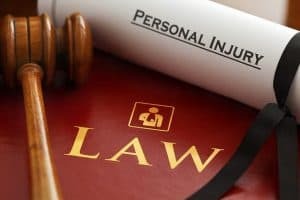 Law firms that do not specialize in car accidents often obtain quick settlements with far less compensation than an experienced attorney would obtain. The experienced car injury lawyer considers all of the applicable damages and enables the victim to get the best possible settlement. At Montag Law Office, our highly experienced staff focuses on processing accident claims and preparing for settlement negotiations and possible litigation. Only when we feel that the full value of your claim has been offered do we encourage settlement. Our goal is to help clients get the medical treatment they need and receive fair financial compensation. We see to it that you are reimbursed for medical costs and lost wages. We also make sure you get an appropriate amount of pain and suffering. Often the at-fault vehicle is not insured or does not carry enough insurance to pay for all your damages. In such situations, we can help you get compensation from your own insurance company using your uninsured or underinsured coverage. If you have a Nebraska car insurance policy it includes these coverages. You may also have optional medical payments coverage. We help identify all sources of insurance or benefits to help pay for your medical bills and contribute to an eventual settlement. His car injury attorneys can assist you in deciding if you have a case that is large enough to justify hiring an attorney. Once you hire Mr. Montag he gets right to work protecting you by contacting the insurance companies to instruct them to talk to your lawyer in all matters concerning your injury claim. Often an early hurdle is to get the at-fault driver’s insurance company to pay for repairing or replacing your car. The Montag Law Office then keeps track of the progress of your medical treatment and obtains copies of doctor bills and records. If you miss work we contact your employer to document any lost wages. Mr. Montag negotiates forcefully to obtain the maximum compensation. Talking to the Montag Law Office is easy. Just call 402-334-2200 or (800) 533-0067 at any reasonable hour. If your call isn’t answered immediately please leave a message. Mr. Montag often answers his own phone, and if you leave a message he will almost always call you back within a few minutes. on Steven A. Montag, Nebraska Car Injury Attorneys.